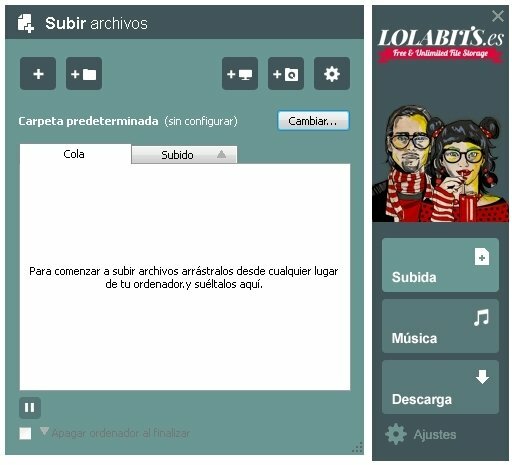 Lolabits.es is an online file storage service with unlimited capacity and totally free of charge. Its functions are similar to those of other services of the same style, although it also incorporates social network functions. LolaBox is its desktop client, which will allow us to manage from the latter the files that we have uploaded to the cloud. 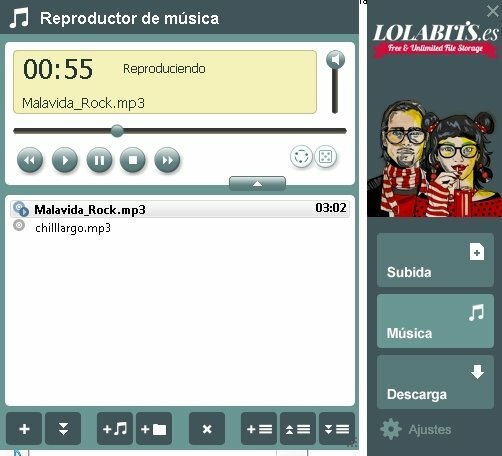 The Lolabits.es desktop application stands out for how easy it is to use. Not only because it allows us to drag and drop files, but also due to the large amount of functions that simplify the file management, such as their simultaneous upload, being able to resume uploads or downloads if the connection is lost or if the IP changes, or the possibility to download entire folders, among others. 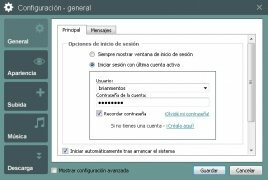 Its features simplify the management of files. Another interesting aspect is that it incorporates functions to manage music, including its online playback. You'll be able to create playlists that you can continue listening to, even once the browser has been closed. Download LolaBox and manage your files in the most comfortable manner. You need to previously sign up for free. In the case of using Windows XP, it requires Service Pack 3.